Only two this week - I'm making good progress reading my January pile but want to avoid overloading so keeping library borrowing to a minimum. 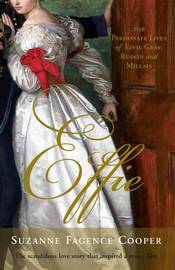 Effie: the passionate lives of Effie Gray, Ruskin and Millais by Suzanne Fagence Cooper.....I felt like reading some non-fiction and a scandalous love story and the woman who inspired some of the greatest paintings of the Victorian era should prove interesting. 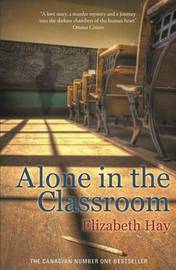 Alone in the Classroom by Elizabeth Hay.....in a small prairie school in 1929, Connie Flood helps a backward student learn how to read. 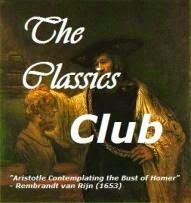 Observing them and darkening their lives is the principal..
What did you bring home from the library this week? Both of those books sounds really good. I have the same problem with overloading at the library that is why I try to keep it down to about 5 books, although I never seem to read them all. I think it's a problem we all have! I hope these two will be good because I certainly didn't need them on my toppling pile. My mom adores Elizabeth Hay but I haven't read any of her books since A Student of Weather, which I loved. Definitely have some catching up to do! That's good to know because I have never read any of her books. 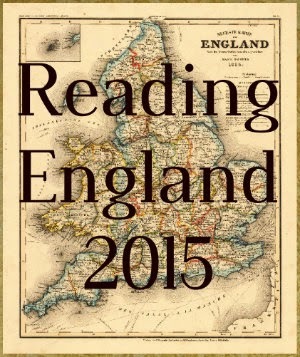 It was the cover that caught my eye and being a Canadian author for the challenge.